Donald Hugh “Don” Henley (born July 22, 1947, in Gilmer, Texas) is an American singer, songwriter and drummer, best known as a founding member of the Eagles before launching a successful solo career. Henley was the drummer and lead vocalist for the Eagles from 1971–1980, when the band broke up. 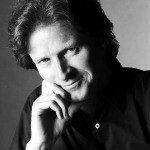 Henley sings lead vocals on Eagles hits such as “Witchy Woman”, “Desperado”, “Best of My Love”, “One of These Nights”, “Hotel California”, “Life in the Fast Lane”, and “The Long Run”. He and Glenn Frey formed one of the most successful songwriting partnerships in music history. American singer, songwriter, bandleader, and music producer and the principal architect of P-Funk. He was the mastermind of the bands Parliament and Funkadelic during the 1970s and early 1980s, and launched a solo career in 1981. He has been cited as one of the foremost innovators of funk music, along with James Brown and Sly Stone. 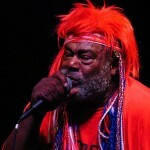 Clinton was inducted into the Rock and Roll Hall of Fame in 1997 with fifteen other members of Parliament-Funkadelic. 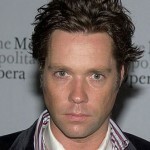 Rufus McGarrigle Wainwright (born July 22, 1973) is an American-Canadian singer-songwriter and composer. He has recorded seven albums of original music and numerous tracks on compilations and film soundtracks. He has also written a classical opera and set Shakespeare sonnets to music for a theater piece by Robert Wilson. My Aim Is True is the debut album by Elvis Costello (July 22, 1977,UK). The album was recorded at Pathway Studios in Holloway, London Borough of Islington, over the course of 1976 during late-night studio sessions, in a total of twenty-four hours. 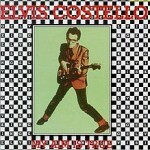 It was the first of five consecutive Costello albums produced by Nick Lowe. The backing band was made up of members of Clover. They were uncredited on the original release due to contractual difficulties; some early publicity for the album identified the backing band as “The Shamrocks”. In 2003, the TV network VH1 named My Aim Is True the 80th greatest album of all time. Previous PostJuly 22: Don Henley is 67 Happy BirthdayNext PostThe Beatles’s “Come Together” covered by Springsteen, Joss Stone, Joe Cocker, Aerosmith, and more..